The paintbrush is one of the most important tools you use when painting. While it’s easy to think you can just go off and buy a few, it’s not that simple. 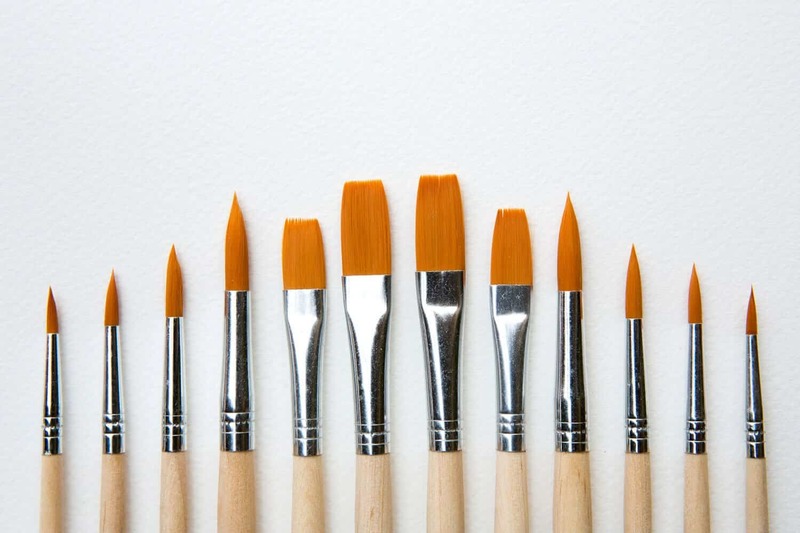 Paintbrushes come in many unique styles and sizes, all of which create different painting effects. What are the Different Paintbrush Shapes? Looking for other brush styles? The bristles are the hair of the brush. Depending on the brush type and paint you’re using, they can range in being made from animal hair to synthetic fibers. So if you’re working on an oil painting, the type of bristles you want to use for this are hog or sable hair. Now if you’re working with acrylics, hog hair also works, or you can use synthetic fibers. Besides these, there are many other types of hair used for brushes that all lead to a unique design in your painting. Ferrule is just a fancy term for the clip (usually constructed of metal) that holds the bristles. A crimp is the small indent in the ferrule to lock the bristles in place, so you don’t end up having bristle pieces randomly stuck in your painting. 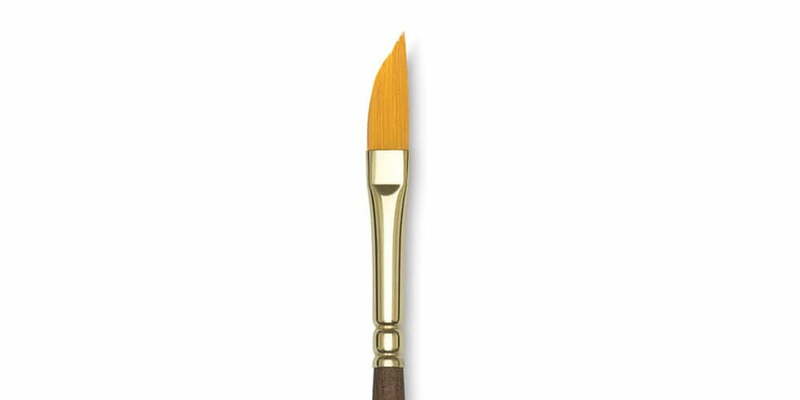 The handle is the long part you hold while painting with the brush. While the definition of a handle may be simple, paintbrush handles comes in two lengths for different purposes. A long brush handle is good to use when you’re further away from your painting surface, and a small handle is perfect for when you’re very close to your surface, such as when you’re trying to add some intricate details to your work. While searching for paintbrushes you’ve probably come across some strange bristle cuts and shapes. No, these aren’t badly manufactured brushes. These cuts and shapes are intentional, as the various thickness and shapes of them allow you to do different things with the paint and add unique elements to your painting. 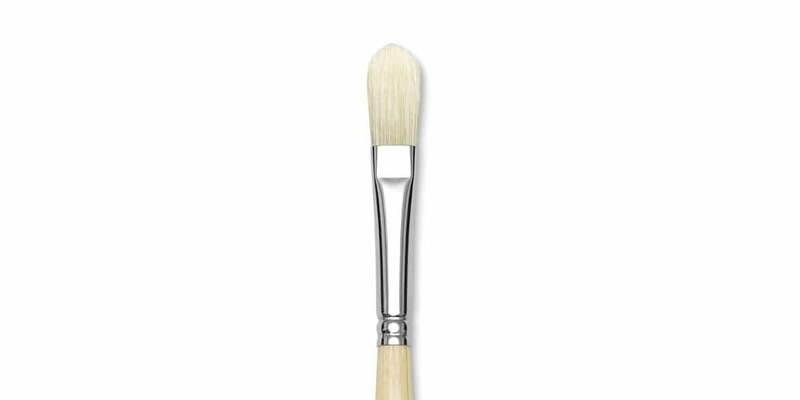 This type of brush is perfect for both acrylics and oils. Rounds come in many different shapes and purposes. Two of the main kinds are plain and pointed rounds. 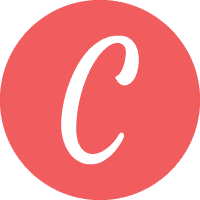 The plain round is good for details, as well as creating various line types. As for pointed rounds, these are great for retouching areas. Besides these two, there’s also a detail round. This is a brush that helps with fine details, so if you’re trying to paint intricate patterns, this is a brush you’ll definitely want to have on hand. This shape is also fantastic for both acrylics and oils. 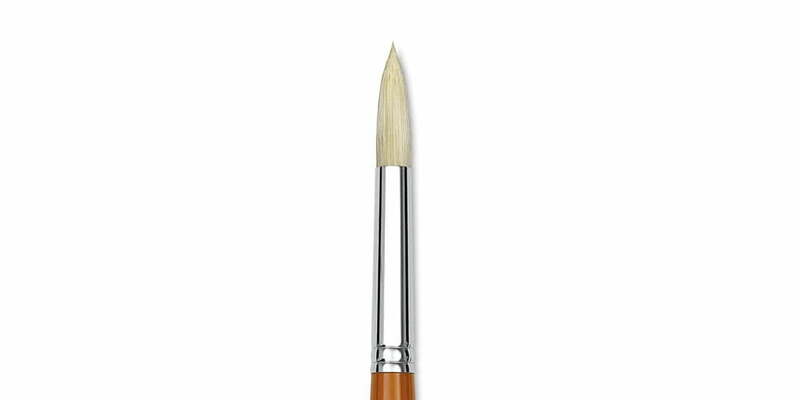 With the way the brush is designed, it allows you to create perfect lines and edges in your painting. If you’re looking to fill in a small space, there’s also an angular flat, which is perfect for acrylics and helps gets into that tiny painting area without accidentally splattering some paint on another spot in your work. A bright is easy to confuse with a flat, but you can tell the difference between them by looking at the length of their bristles, as a bright has shorter bristles than a flat. 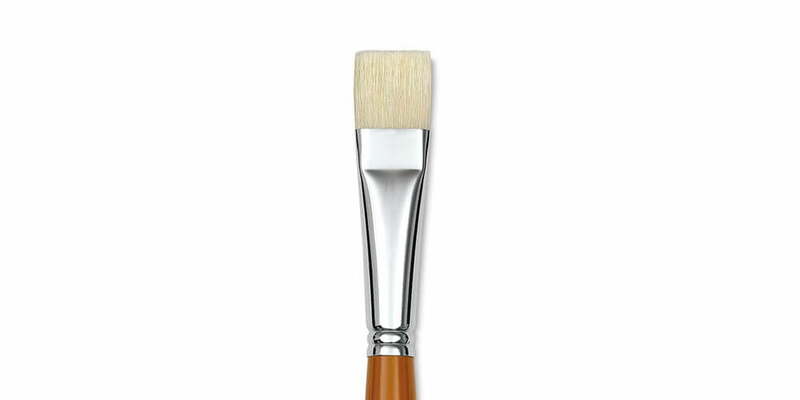 This type of brush is best for quick strokes in either your oil or acrylic painting. Filberts look very similar to flats and brights, but look closely. The filbert’s bristles curve in to a tapered design, which makes it a good brush for blending both oil and acrylic paints. One look at a fan brush and you might classify it as a paintbrush with a bad hair day, but the brush can create some awesome effects for your painting due to the wild arrangement of the bristles. The fan can be used for both oils and acrylics and not only blends colors, but can create amazing textures and effects, like clouds and palm leaves. The type of paintbrush you should use for your painting all depends on the type of paint you’re using. 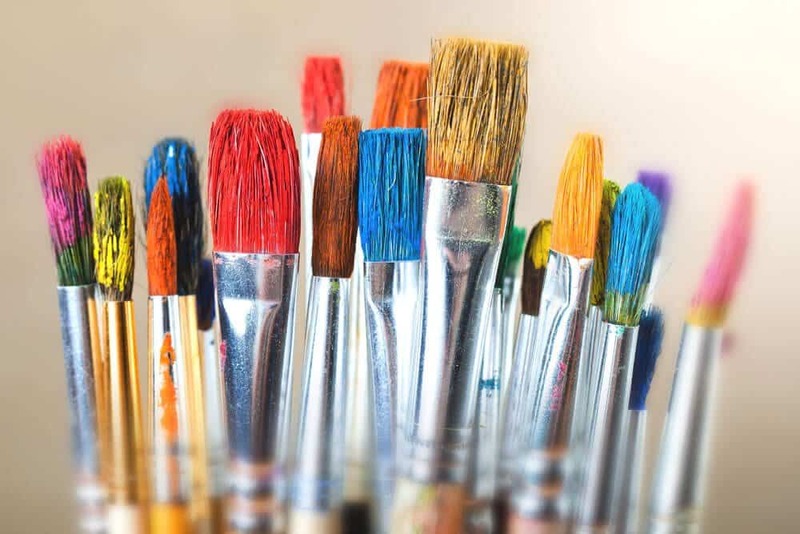 The main types of paintbrushes are listed above, and most of them can be used for both oils and acrylics, however make sure you look closely to ensure the brush you’re buying does in fact work for the paint you’re using. 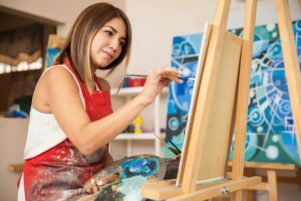 The types listed above are the basics that you need, but if you’re past the beginner’s stage and want to work with some distinctive brushes, here are few you should look at. 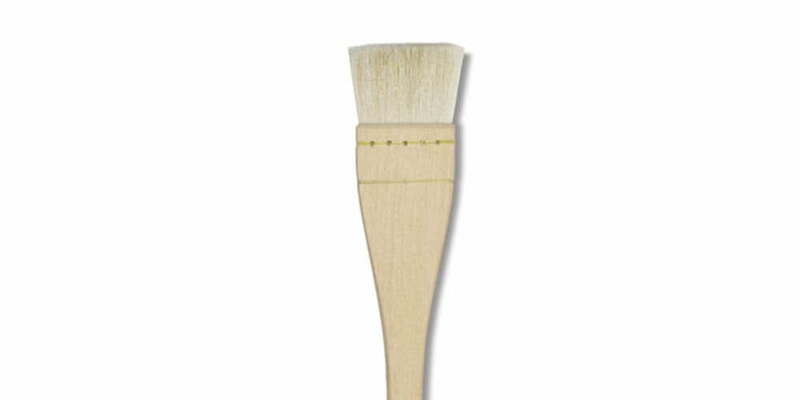 Used primarily in asian-influenced paintings, hake brushes are perfect for providing light washes to large swaths of your painting surface. Painting a mural or other large scale painting? 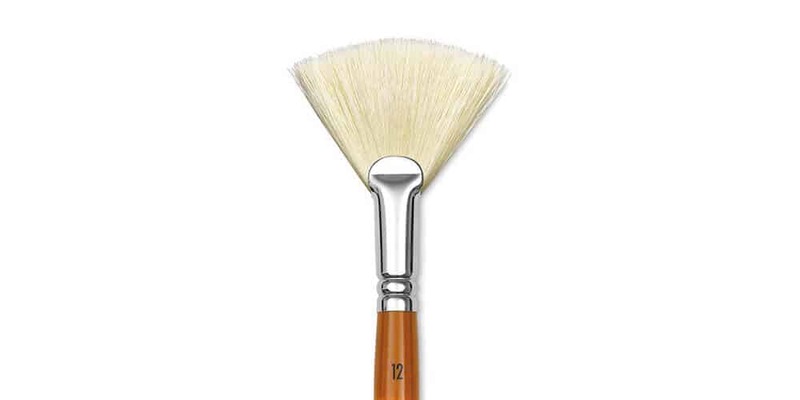 Given the tapered design of the sash brush, you can easily paint in the details while retaining control not found in other brushes of similar size. This might be a strange name to give a paintbrush, but the dagger brush is no joke. These brushes come in many sizes and bristle types, so be sure you find the right one based on your painting needs. 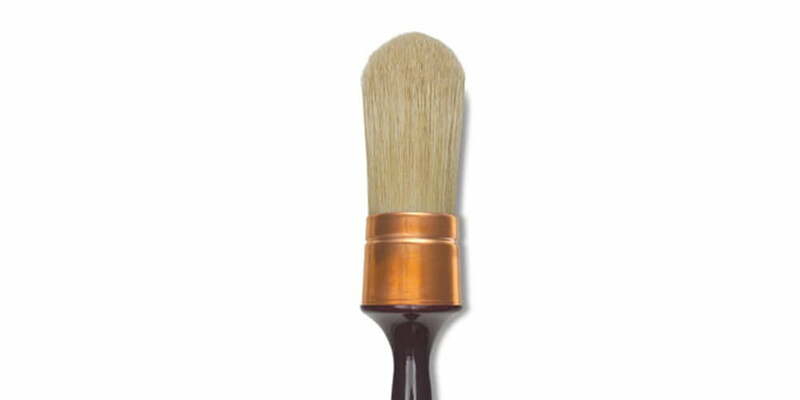 This brush is superb for both acrylics and oils and can be used to create water effects and plant stems. 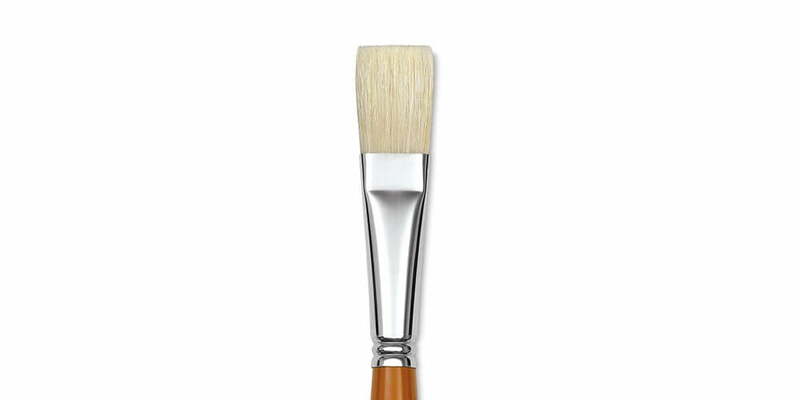 It’s extremely important to take care of your paintbrushes, but how to care for the brushes depends on your paint type. If using oils, you’ll need to soak them in a chemical like turpentine and constantly wipe it off and re-apply the chemical until the brush is somewhat clean. Eventually after soaking it in this, you’ll have to use paint thinner and soap to get all paint traces out before it’s completely clean. If using acrylics, you just need some water to wash them off in and a paper towel to dry them. But remember that acrylics dry quickly, so you’ll need to clean them as soon as possible if you don’t want to be on the search for paintbrushes again. Be sure to check out our full guide on how to clean your paintbrushes properly. Be gentle with your brushes so the bristles and ferrule aren’t ruined. But if your art involves ruining paintbrushes to get that perfect shade and texture, then so be it, you’ll just have to go shopping for brushes again. 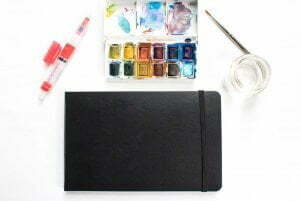 It’s easy to store a paintbrush in water or cleaning solution for just a few minutes while you go off to do something. What’s the harm you might say. But those few minutes often turn into an hour, and then that hour eventually turns into a day, and then you come back a few days later to find your brush still sitting waiting to be cleaned. At this point, your brush’s bristles are sticking together or having some other type of problem, making it virtually unusable. Putting off cleaning your brushes is an extremely easy thing to do, but it’s better to spend some time immediately cleaning the brush off, so you don’t end up spending more money on another set of brushes. 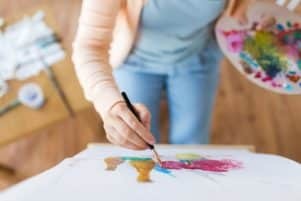 Before accidentally spending some money on paintbrushes you don’t actually need, be sure to do a little research into them. Also, if you only want to make a single purchase of paintbrushes, make sure you take care of them, because if not, you’ll be out searching for some more again. Shopping for paintbrushes may at first seem uncomplicated, but once you start, you’ll find it’s actually pretty difficult. Be sure to keep the tips above in mind as you look for paintbrushes.